0.1 Do you know that there’s a Gran Canaria to discover beyond the resorts? 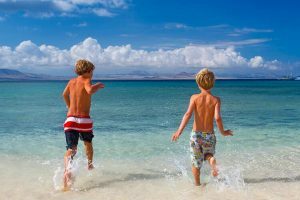 Arucas in the north of the island makes for a great day trip and even a base for a holiday in its own right. We recommend things to do there including relocation. Do you know that there’s a Gran Canaria to discover beyond the resorts? Arucas in the north of the island makes for a great day trip and even a base for a holiday in its own right. We recommend things to do there including relocation. We’re your online Gran Canaria tour guides. Our island area guides are impeccably informed, rich in detail. Including this latest six-part overview of things to do in Arucas. 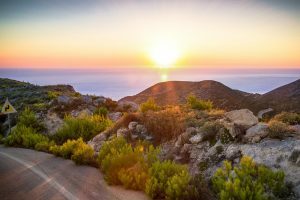 Estimate a (hire) car journey from Gran Canaria airport to Arucas to take around half an hour, with the quickest route using a combination of GC-1 and GC-3. 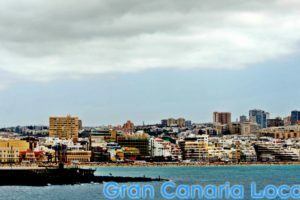 If Las Palmas de Gran Canaria‘s your starting point, you can be in the municipal capital of Arucas in under 20 minutes. It’s closer to half an hour if you travel by bus from the capital and more than 60 minutes via Global from the airport. There’s a free bar at Arehucas rum distillery. So when you finish a tour which includes a display of 6,000+ oak barrels signed by Spanish celebrities such as singers Julio Iglesias and Placido Domingo, you can sample various rums including golden (ron de oro), honey (ron de miel), and white (ron de blanco). The first and last are the most popular spirits to mix with Coca-Cola at island celebrations and festivities. Standing atop the Montaña de Arucas, with fabulous views over the whole of the municipality, you’ll find El Secreto de Arucas which is a café, grill, and restaurant rolled into one. Portions will satisfy those with Desperate-Dan-sized appetites. Including T-bone steak aged for a minimum of 30 days. One of the poshest parts of Arucas is Visvique. And this suburb’s Casa Brito attracts a well-heeled crowd. Principally a steakhouse of the non-franchise variety, vegetarians are not overlooked in a menu which includes grilled aubergines, vegetable lasagne with real tomato, and creamy (as in texture rather than flavour) rice with seasonal vegetables. Head to the municipal centre and Calle León y Castillo for Italian craft pizza at Cuor di Pizza. Another central recommendation, in the same street in fact, is Restaurante Casa Antigua de Arucas whose traditional Canarian patio dates back to 1840. Due south of the bus station, Vegatriz caters for the brunch bunch and is a sign of the times with veganism a relatively recent concept to the majority of locals. Down on the Arucas coast, there are exciting foody things going on; particularly in El Puertillo. In the Paseo Miramar’s Kawamba they’re reinventing fast food, whilst in the oceanfront’s Restaurante El Puertillo they treat the Atlantic as Davy Jones’ Larder rather than Davy Jones’ Locker. Nearby, El Dorado Del Norte‘s a newcomer with a healthy regard for Canarian classics such as gofio escaldado (cornmeal scalded with fish broth you scoop into your mouth with chunks of sweet red onion from Gáldar further along the GC-2). Nights out in downtown Arucas tend to start and end at Calle León y Castillo’s Heineken 5Mentarios. There are big screens to watch the football, live music, and shisha. For a more old-fashioned dinner-dance plus reggaeton club nights, make your way to the out-of-town Tropical Palace in San Francisco Javier. The centre of Arucas, the municipal capital, is made up of a handful of streets. There are some built-up developments in the municipality but all in all, if you choose to make a new life here; nature’s on your doorstep. Which might lead you to invest in a new bicycle, at the likes of King Bike Arucas where your first ride should be the epic GC-330 down to Bañaderos. Another useful shop if you’re relocating to the area will be Arucas Tradiciones. Located in Cardones‘ Avenida Pedro Morales Déniz, it’s a gateway, as its name suggests, to the traditions of Arucas. This is a great place to pick up traditional Canarian clothing which is de rigueur at the local fiestas. For more ethnic clobber, there’s Avenida El Miron’s The Zion’s Collection for men, women, and children. When it comes to cosmetics and jewellery, Cristian Lay in nearby Calle Uruguay targets the stylish shopper. On the souvenir front, pick up arts and crafts made on the island at Calle Párroco Morales’ La Marimorena. Step inside the former family home of co-owner Marcelo Afonso Gil at number four, Calle Pároccco Morales. The five-bedroomed Hotel Emblemático Arucas is the latest boutique hotel on the island as the north of Gran Canaria continues its push to offer something different on the travel front than the more touristy south. It was from the vantage point of this property that the famous photograph of the first stone being laid at Arucas’ iconic John the Baptist church was made. Ever wanted to stay in the same place as someone famous? 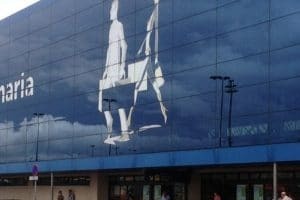 When organizers invited Hollywood star Susan Sarandon to Las Palmas’ international film festival back in 2007, they put her up in the ab-fab Hacienda del Buen Suceso. This is an estate whose cash crop started off as sugar cane before the owners went (for) bananas. And there are holiday homes such as the two-bedroomed apartment in Calle La Cruz, Casa Mamá Fela. The equally central Loft PapáPepe is great for couples. If you want to be based out of town, Trasmontaña‘s Finca La Esperanza is ideal. If you plan on hanging around here longer than a holiday, there are estate agents based in Arucas with properties on their books. Such as Inmobiliaria Arubelcas & Medicurbe in Santidad. Along with Calle Alonso Quijano’s Inmobiliaria Delos. Whilst the viewpoint at the top of the Montaña de Arucas dates back to the 1950s, the mountain itself is closer to 300,000 years of age. The former was proposed by Franco’s tourism minister, Manuel Fraga Iribarne, to the ruling Marques of Arucas. The plan came with an on-site restaurant which has changed hands, and indeed design, since this inception. The Plaza de San Juan, Arucas’ main square was born in 1901. It’s a beautiful photo opportunity for the wedding parties attending the marriage ceremonies held at the church of the same name. And the perfect spot for kids to let their hair down whilst you enjoy a coffee at one of the adjacent cafes. Not for nothing is Arucas known as the City of Flowers. There’s the 10,000 square metres of greenery which make up the Parque Municipal, with sweeping views of the Atlantic below. And the suitably grandiose Jardín de la Marquesa, owned by the same family who run La Hacienda del Buen Suceso opposite. 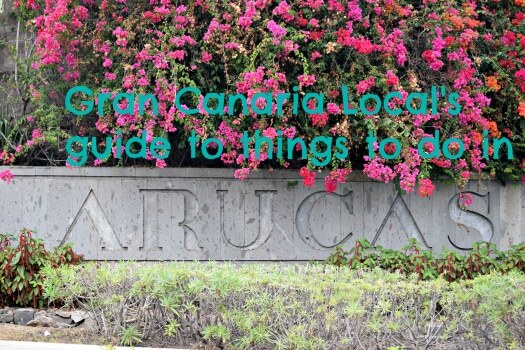 Arucas is also referred to as the Pearl of Gran Canaria. Its very own gem, however, is the cathedral-like Iglesia de San Juan Bautista. Catalan architect Manual Vega March, a contemporary of the more famous Gaudí, designed it and local farmhands constructed it using the celebrated blue stone which is native to the area. The Gouríe family were one of the most prominent in Arucas society. And Calle Gourié is where you’ll find the 17th-century Casa de la Cultura, formerly a library and these days an art gallery. And at the main entrance of Arucas’ municipal park, you’ll find the Fuente de Pilar; a water fountain gifted to the people by one Alfonso Gouríe in 1874. Backing on to the Parque Municipal, you’ll come across the Museo Municipal de Arucas. More art gallery than museum, look out for the sculptures from Tejeda’s Abraham Cárdenes; permanent fixtures which stand alongside more temporary displays. This free-to-enter museo‘s open Monday to Friday from 9:30am to 3:00pm. The SL4 is a hiking trail which will connect you with Cardones and the rock pools at the Punta de Arucas. There’s a larger natural swimming pool at El Puertillo, heading westward along the GC-2, which is good for bodyboarding. Further west, San Andrés’ breaks are beloved of surfers. Entry’s free at family-friendly adventure park GrancAventura which is a popular . However, you have to pay for which activity your group chooses to participate in plus for refreshments. That may include you’re-in-the-army-now style circuits or paintball. For less taxing leisure, drop by CF Arucas ground to catch a game of football. Other notable teams in the area include CD Bañaderos. More equestrian-minded types will prefer a visit to El Rodeo, Centro Hípico de Arucas who offer horse-riding lessons.